Scientific Edge / Why barefoot is best for babies! What about picking up illnesses or diseases from going barefoot? Our skin is designed to keep pathogens out. We are more likely to get ill through our hands (since we touch surfaces like doorknobs, sinks, hand rails where germs are abundant). Besides, kids are more likely to put their hands in their mouths, rub their eyes, and touch their faces where illnesses are most prone to enter. Furthermore, shoes create an ideal opportunity for illness by trapping fungus and bacteria, and holding them against the feet. They also provide a lovely, warm, and damp environment for them to grow in, harvesting things like athlete’s foot, toe fungus, and even ingrown toenails. Kevin Geary, parenting guru and author of Revolutionary Parent (a site dedicated to raising physically and psychologically healthy kids) argues that shoes are actually bad. Why? They interfere with the foot’s ability to function properly and prevent proper movement –making a child more susceptible to foot and lower leg injury. Additionally, while bones are still forming, if we start putting our children’s feet into shoes, we’ll ultimately change the shape of their feet and altere how they function. One of the major benefits is the strengthening of the feet and lower legs, which makes the body less prone to injuries. It also enhances proprioception: the ability to perceive the motion and position of our bodies in space. In other words, the child gains a sense of awareness. The highly sensitive nerves in our feet are one of the most sensory-rich parts of the human body, with over 200,000 nerve endings. For this very reason they make us safer, we become more aware of where we’re putting our sensitive feet, and what we are stepping on. Shoes restrict feet from the normal movement and exploration that is needed to prime the pathways for when they become mobile. As babies learn to walk, they are used to having limited movement and are used to having a barrier between their feet and the ground. Proprioceptors are not allowed to be optimally stimulated and the muscles and joints in the feet cannot accommodate to the changing terrain of the surface they are walking on. 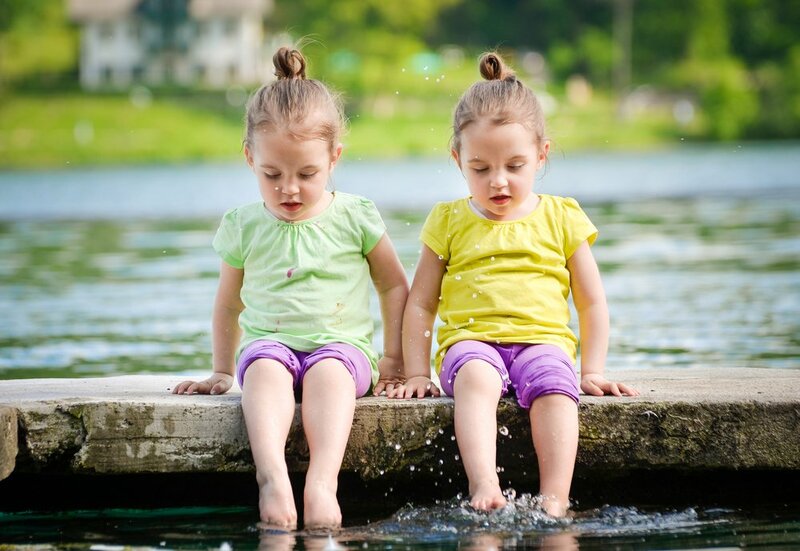 When a child is barefoot, the tactile pathways feel the surface, the feet respond to pressure, and the terrain creates slight imbalances that create neuromuscular strength, special orientation, balance, and coordination. Dr. Kacie Flegal (specialist in pediatrics) wrote about optimal brain and nervous system development of babies and toddlers, stating that being barefoot benefits a child tremendously. As he puts it, “one of the simplest ways to motivate proprioceptive and vestibular development is to let our babies be barefoot as much as possible”. Additionally, keeping babies barefoot is the encouragement of presence of mind and conscious awareness. Babies explore as their feet feel, move and balance on the surface that they are exploring. The information is sent to the brain from tactile, proprioceptive, and vestibular pathways quieting or inhibiting other extraneous sensory input. This creates focus and awareness of walking and moving through space, and babies get more attuned to their surroundings. Going barefoot is a joy to the senses, especially to babies who are experiencing all the newness of the tactile world around them. Imagine the relaxing feeling of walking on soft warm sand at the beach or the refreshing feeling of cool grass in the early morning of a summer day. All these sensations are available when we allow our children to experience a bit of shoe-free time! Learn more about the multiple benefits of barefoot babies!